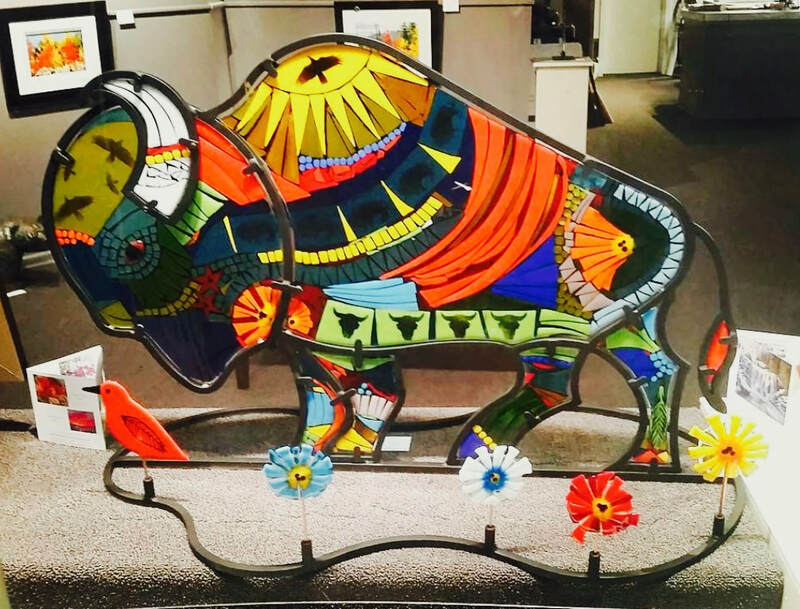 Visual artist Tammy Hudgeon grew up under the wide and endless sky of the Canadian Prairies, a place where the open landscape became deeply rooted in her soul and is now a part of everything she does, thinks, feels, creates.A self-taught artist, Hudgeon’s artwork is shown widely, both nationally and internationally. 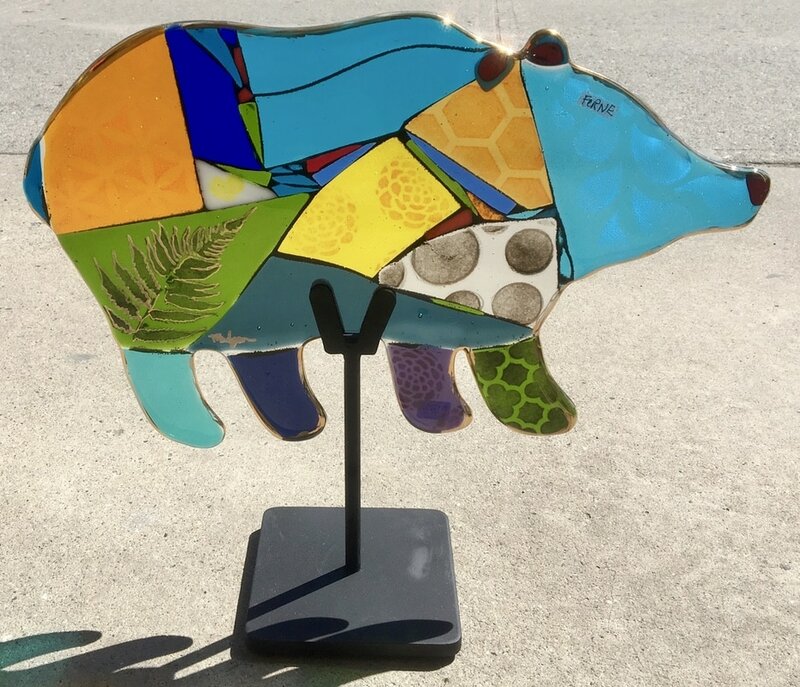 Among her many honours and awards, Hudgeon is a two-time BC Glass Art Award winner and was recently cited for her contribution to her local arts community. 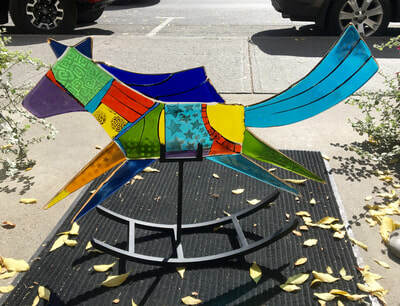 Over the years, her scope has grown to include tiny to large-scale steel and glass sculptures, mixed media paintings, and anything else that allows her to connect to her authentic creative voice. 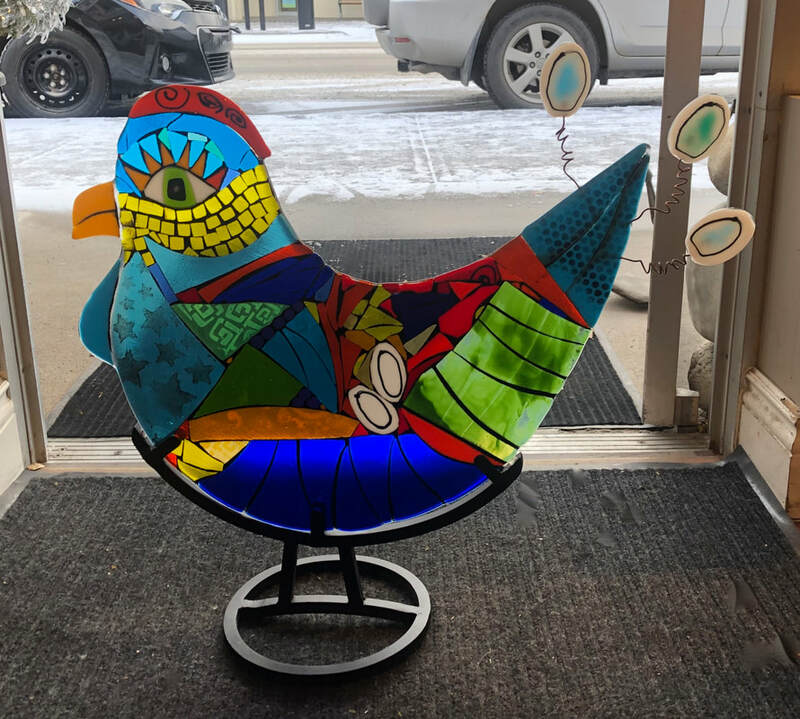 Hudgeon openly connects with the joyful, soulful, wild spirit of life and imbues her pieces with it. She hopes that those viewing it will feel the same energy of connection she experienced while creating it. She’s been published in magazines and books and interviewed about her art for T.V. and radio, including CBC’s North by Northwest Show. In addition to creating her own art, Hudgeon loves to inspire people, occasionally hosting workshops for children and youth in her studio. She’s also available for talks on her own work, focusing on the creative process. Hudgeon’s work can be found in private and corporate collections throughout the world, and has also been purchased and collected by one of Japan’s most famous Riokhan’s. Hudgeon has traveled widely and finds herself awed and inspired by the many traditional and tribal cultures she’s visited and their spirited use of colour, adornment and sacred rituals. 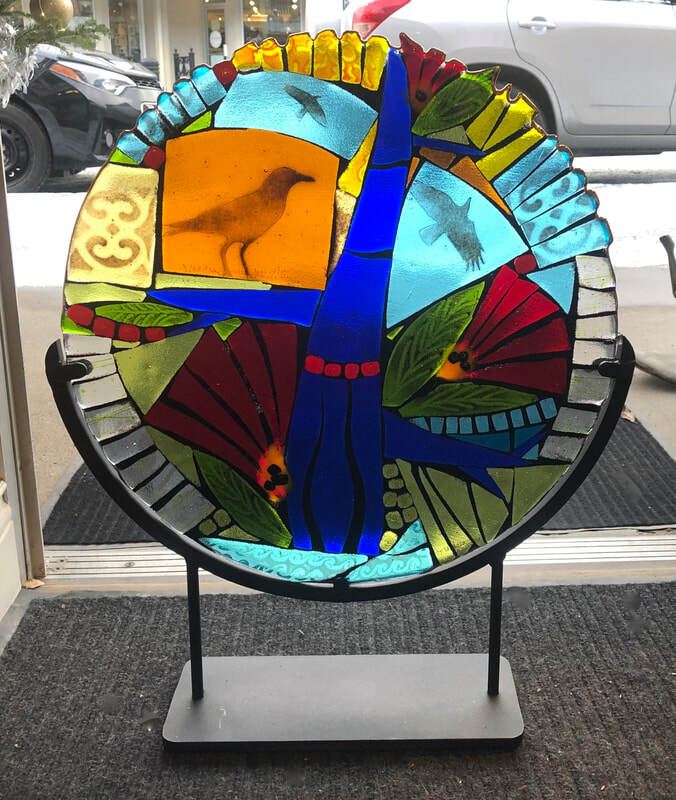 Many of Hudgeon’s collectors and admirers know her for her fused glass which she imbues with themes of nature, vibrant living colours, and exuberant spirit. Her connection to nature has led her to a rustic lifestyle on a small island in British Columbia where she explores and creates in a light-filled studio. Today, these elements, ingrained from childhood and collected over a lifetime, spill out of Hudgeon and into her work, proving that the spirit of an artist comes from deep inside. 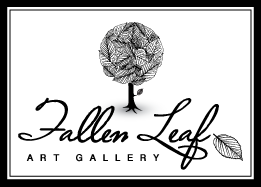 See Tammy Hudgeon's works at Fallen Leaf Art Gallery the next time you're in Canmore.